orcas specializes in web technologies and web development, with a particular focus on your idea. From concept to planning to implementation – our goal is to tailor your ideas and requirements in a tailor-made and sustainable way. 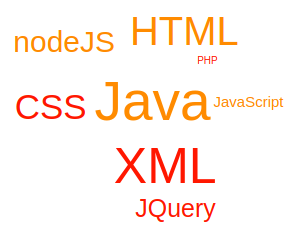 We develop with web technologies that work for your business goals. Agile web development and modular software ensure high quality and investment security. We attach great importance to design, quality and sustainability. Therefore, we rely exclusively on proven technologies and established open source software for our projects. The technical implementation is crucial for the success of your website. In order to achieve fast loading times and intuitive usability, we take into account the necessary measures already during programming. Basically, we work with the most up-to-date web technologies that help us with web development and among other things contribute to SEO optimization. We work with frameworks so that we can work fast and agile and offer you their idea at the earliest possible date. The selected frameworks have proven themselves in recent years and are constantly evolving. Thus, we can work with the latest and most advanced technologies and offer you the perfect website tailored to your needs. Data, stored facts about ourselves, others and our environment, accompany us throughout our lives. They serve – after appropriate processing – as the basis of decisions and influence our actions. That’s why you need an immense security for sensitive data, which must be maintained consistently. Control and security is the prerequisite for a successful working day. To guarantee this, we use version control systems. This does not mean that we make mistakes, but only that we can follow each of our steps in later reviews and find it easier. Thus, we can offer more security and quality, and what is important to you: less time lost through long code research. The best in our opinion: Git and Subversion. How can also build new interfaces as web services and thus make the imported data available to others again. However, as there are different requirements in web communication, we use web services according to the standards REST, SOAP and XML-RPC. Which web technologies do we use otherwise? To ensure that potential customers find your website, your site needs sophisticated SEO optimization and engine control. For this we use Google Analytics. We also use Nagios to monitor networks, hosts, and special services, as well as to analyze the collected data. Starting in the top rankings on Google? What does our web design look like?